Things are moving forward for the copper strike symposium to be held at Michigan Tech this April. 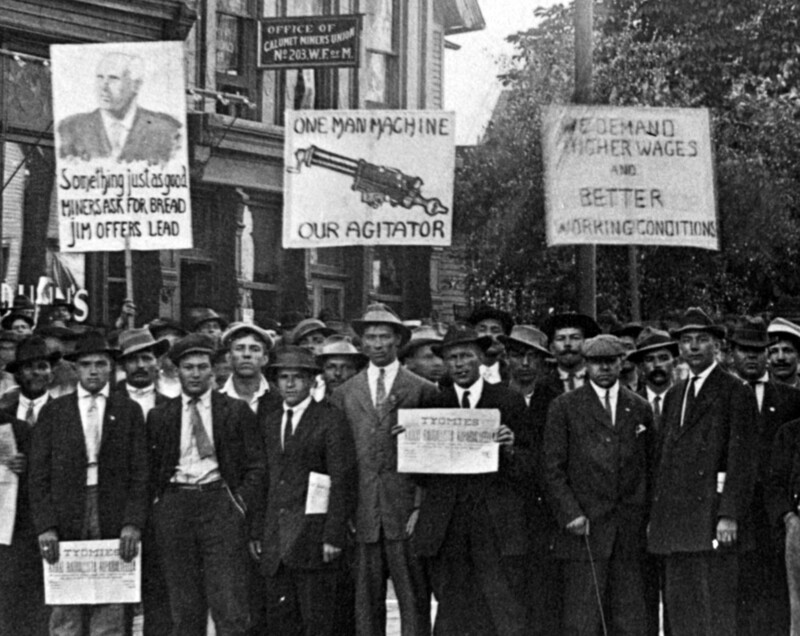 The symposium, Retrospection & Respect, taking place April 11-12, 2014 in Houghton, Michigan coincides with the centennial of the cessation of the 1913-1914 Michigan copper miners’ strike. Full conference registration is now open and the list of presenters has been announced. According to the symposium website, full conference registration is $30.00. This includes a Friday reception and Saturday sessions for both the symposium and FinnForum X concurrent sessions. Full registration also includes breakfast and lunch. Keynote dinner reservations can be purchased at the same time. The full conference registration deadline is April 9, 2014. Walk-in registrants are welcome, but there will be a limited number of extra meal tickets for walk-ins. For more information please visit the symposium website. The symposium is co-sponsored by the Michigan Tech Archives, the Department of Social Sciences, and the Department of Humanities at Michigan Technological University, the Keweenaw National Historical Park, and the Finnish American Historical Archive at Finlandia University.